The Sons Of Liberty - Do You Have to See Him to Believe Him? 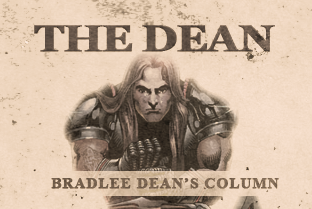 Home - The Dean-Do You Have to See Him to Believe Him? Do You Have to See Him to Believe Him? Psalm 14:1 says, "The fool hath said in his heart, There is no God. They are corrupt, they have done abominable works, there is none that doeth good." The reason people don't want to believe in God is because they don't want to submit to Him. They love the darkness rather than light, as it says in John 3:19. Common sense tells you that things just don't appear out of nowhere - every building has a builder; every painting has a painter. We need to go back to childlike faith.